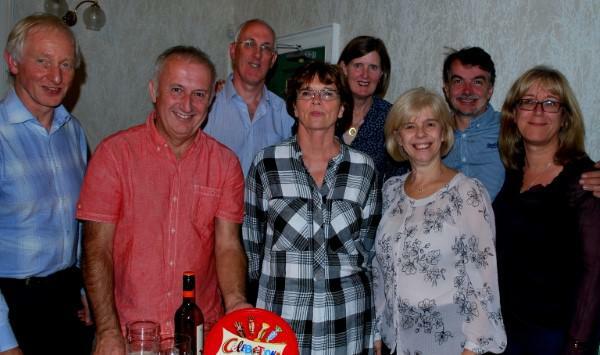 Four married couples made up the winning team at Saturday’s charity fund-raising quiz and pea and pie supper at Ceddesfeld Hall, Sedgefield, organised by St Edmund’s Church Council. Jonah and Jane Jones, James and Terri Larcombe, Chris and Julia Rowsby and Chris and Rachel Stephenson took first prize with their out- standing knowledge of a wide range of subjects and their ability to identify local historic buildings and various cartoon characters. 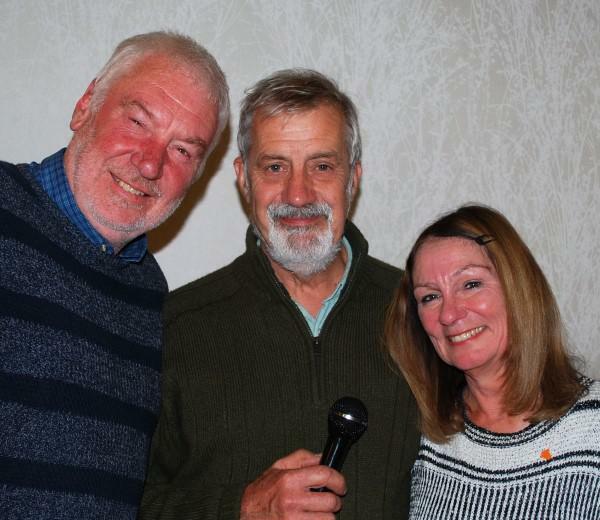 Quizmasters Judy and Peter Evans are pictured with Michael King (centre) who thanked them for producing and marking the quiz papers. The event, now a firm favourite in the social calendar, raised over £270 which will be shared between the Air Ambulance and the fund to repair the roof of St Edmund’s Church which was twice targeted last year by lead thieves. Organisers have described the quiz night as “a wonderful event and clear indication of how much supporters value the church and the flying ambulance service”.